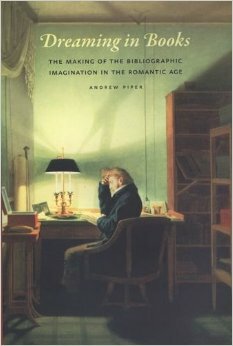 In this important and cogently written study, Piper explores what he terms the “bibliographic imagination” that characterizes the Romantic age, both in terms of the unprecedented explosion in the mass of books published in the nineteenth century across various western cultures, and in the exploration of the ways in which the international circulation of books (in many forms) began to foster a transnational sensibility of local differences. Recalling Balzac’s famous observation about reading as a new addiction (“The European imagination feeds on the sensations that it demands from literature in the same way that the Turk demands dreams of opium”), Piper’s interdisciplinary study of the “Romantic bibliocosmos” straddles different facets of this Romantic bibliomania, from the shaping of new social practices and spaces centered around the organization of books, to the rise of new book-centered professions, and—especially—to the intermediality of Romantic book culture, whereby it engaged with a variety of non-book, non-print and non-text practices. Beyond its value as a contribution to the broader history of the book, Piper’s relational study of the book aims to reassess today’s pervasive discourse of anxiety about the end of book culture in the digital age, suggesting instead that the book and the computer (along with other media) have existed and will continue to coexist side by side. What is the relation between fiction and sea-faring, words and water? 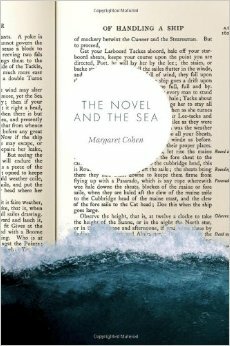 In The Novel and the Sea, Margaret Cohen rewrites the history of the novel by highlighting the significance of stories of maritime adventure. Canvassing a wide range of examples from different national traditions, she explores the many ways in which writers and artists have imagined and represented the sea. At the same time, the book offers a tribute to a now vanished way of life, expounding on the lost skills of maritime craft and conjuring up the unimaginable difficulties and dangers of the sailor’s world. A major contribution to both comparative literary history and literary theory, The Novel and the Sea makes a lucid, eloquent, and compelling case for the centrality of the ship and the sea to the modern literary imagination.